Christmas is almost here and holiday decor is everywhere. Don’t get caught up in the fads and trends… make it personal, be selective, and make sure your decor is an expression of what the holidays mean to you and your family. While gold and blush are the latest trend in colours for your 2016 Christmas tree… my family loves the iconic Santa red! 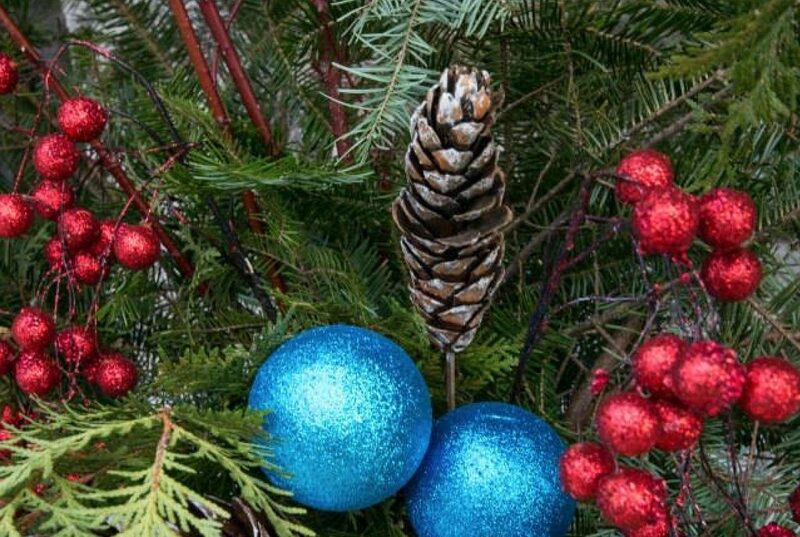 I keep it fresh by incorporating some bright blues and teals, while adding some natural materials like birch and pine cones to keep us connected to the beauty of the outdoors. Decorating for the holidays is my favorite thing to do, because of the love and energy you feel when doing it! If you are busy this year with work, travelling, or baking 1 million cookies… I would be happy to bring that love and energy of the Christmas spirit to your home with my seasonal Holiday Décor Service. This service includes an in-home consultation, depending on your requirements the supply of new quality decorations, and the complete decorating of your tree, main floor, or whole house! Pricing will vary, but starts at $150.00 for a tree re-vamp, using your existing decorations in an exciting new way!